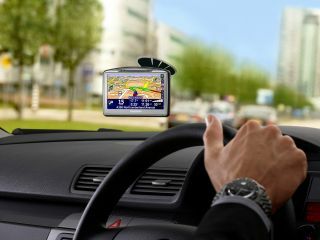 The TomTom Go 920 T satnav unit, first announced in September, is now available in UK stores, just in time for Christmas. The Go 920 T comes with complete maps of 41 countries in Europe, the US and Canada preloaded on its 4GB internal memory. It includes TomTom's new enhanced positioning technology (EPT) which the company reckons offers a smoother navigation experience. An RDS-TMC traffic receiver is also thrown in so you can receive real-time traffic information. The ultra slim unit features a Bluetooth remote control as well, so that you can operate it without having to fiddle with the screen while driving. It's priced at £399.